Tata is working on a fresh face for its products, moving away from the current smiley face that it has on the Indica and Vista range. 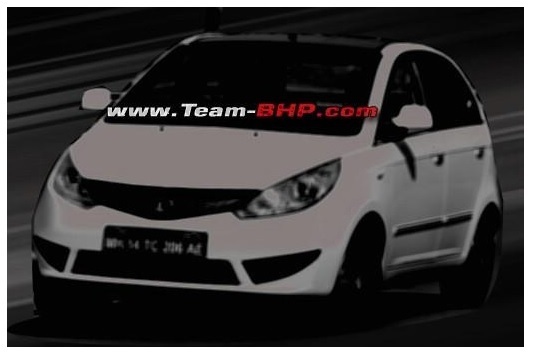 Spyshots that have emerged show the upcoming 2014 facelifted Tata Vista to a much more mature-looking car with sharper lines, although the changes are purely cosmetic. Tata is unlikely to offer any other significant changes to the engine line-up. For BS-III markets it offers a 1.4 diesel engine, while for BS-IV markets the car gets a 1.2 litre petrol engine and 1.3 litre diesel engine in two-states of tune – 75 bhp and 90 bhp, the latter being slotted into the sporty Vista D90. Tata’s focus ahead will be on improving after-sales service and on quality of products, both of which come under its recently unveiled HorizonNext strategy in Pune. Also read: Eight refreshed cars and a new gameplan – can Tata make a comeback? What do you think of the new Tata Vista’s looks?